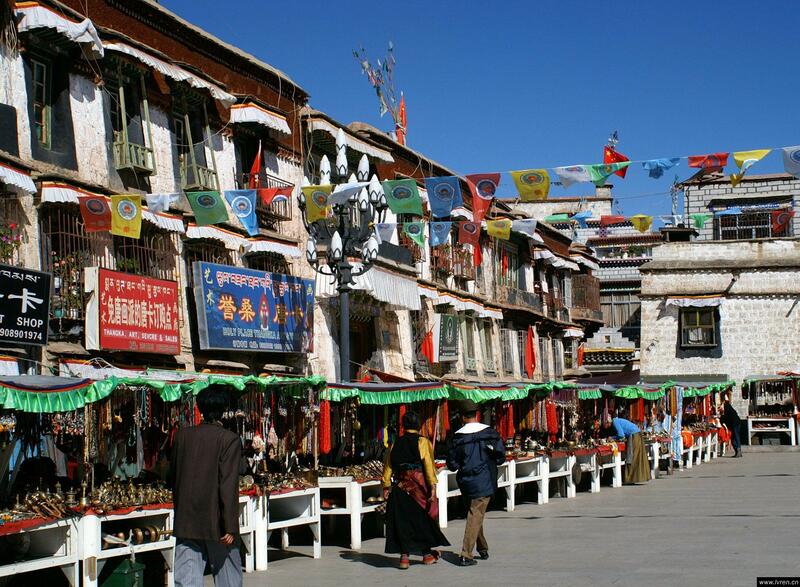 As the capital city, Lhasa is the political, economic, cultural, communication and tourist center of Tibet Autonomous Region, Located at the north bank of Lhasa river, the main tributary of Yarlung Tsangpu River, it is an ancient cultural city with a history of over 1,300 years. 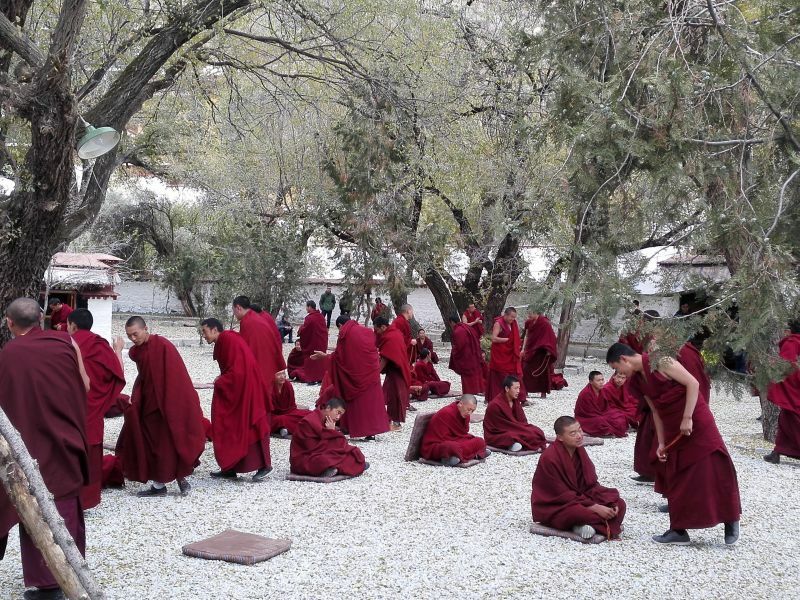 In Lhasa Mian secnice spots. Standing on the Maburi ( the Color of rock and earth on this hill is red. Therefore the name of hill is called Maburi. 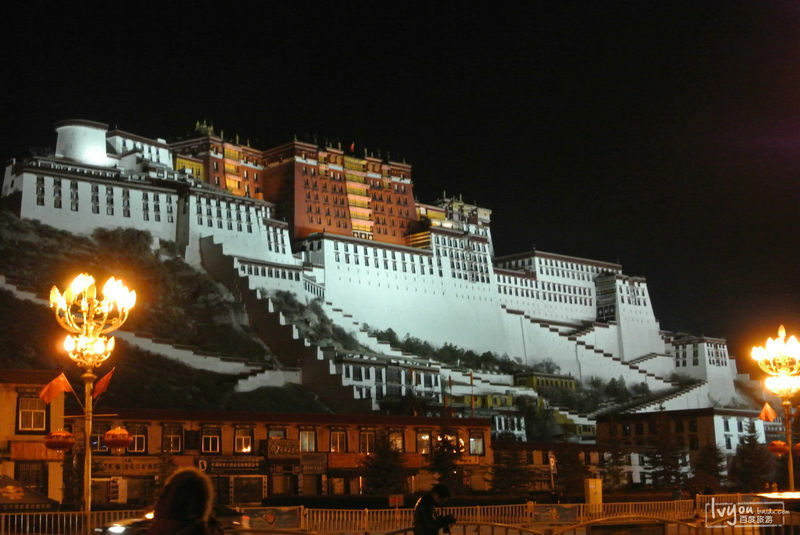 Which means Red Hill) at the middle of Lhasa city, Potala Palace is known as the highest Palace in the world. Potala Palace was first built in the 7th century and till now has a history of over 1300years, The architectural art of Potala is harmonious and unified graphic and Manda, specific offering and real life. 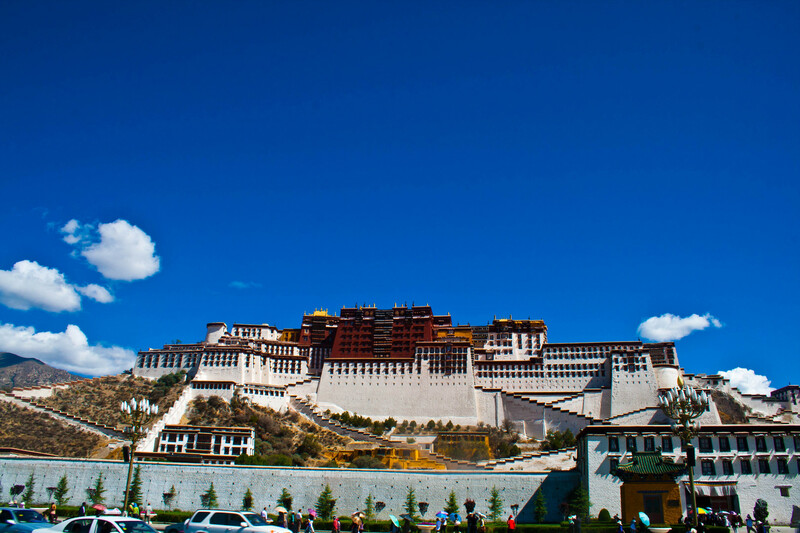 The Potala Palace collects and preserves a large amount of historic and cultural, relics, including rare, jewelleries, partita-leaf, sutra and Thankas of different, dynasties, brocade of Ming and Qing Dynasty, porcelains, enamelware, jade, articles, diamonds, ritual, implements, folkcraftwork, collections and soon… The white palace is living quarter and administrative area of successive Dalai Lamas, In the four- floor red Palace , there are tomb stupas of successive Dalai Lamas and various shrines and chapels.. The main construction of the Jokhang Temple is a 4-storeyed building, which integrates the architectural Style of Han, Tibetan, India and Nepal. The construction also embodies the cosmological view of Buddhism since the whole temple, is centered the big chapel which symbolizes the core of the universe. The statue of 12-year-old equal -body Sakyamuni is essence of Jokhang temple.. 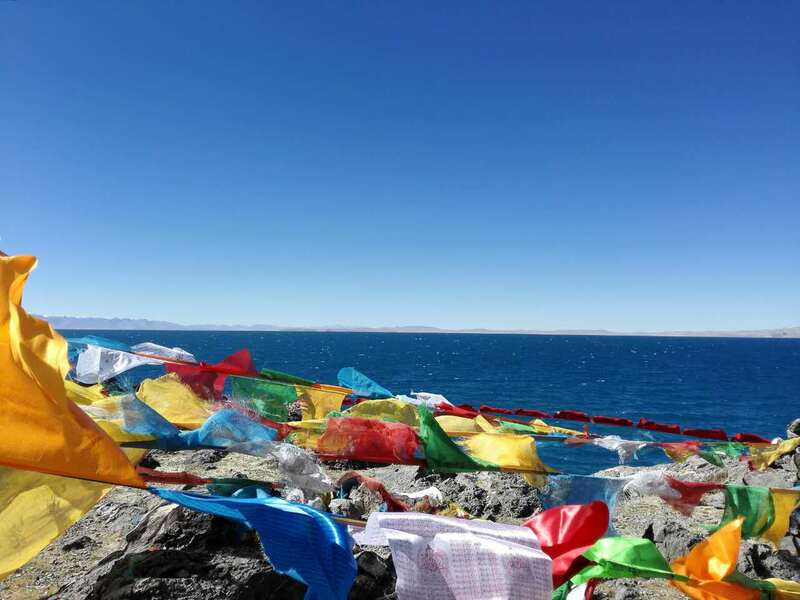 The Namtso Lake, liternally means heaven Lake in Tibetan, as one of the three holy Lakes in Tibet, it extend 70km from east to west and 30km from south to north, with an area of 1920sq.km and an altitude 4718 meters above sea level, it is the largest Lake in Tibet Autonomous Region, the second largest saltwater in China and highest Lake in the world.. Situated in a mountainous area above 60Km from northwest of Damshong County.. Namtso Lake is considered a rather sacred Lake among Tiebtans.. At every sheep year in Tibetan calendar countless pilgrims from far way come to attend the grand Lake-cricummbulation festival held at the Namtso Lake.. 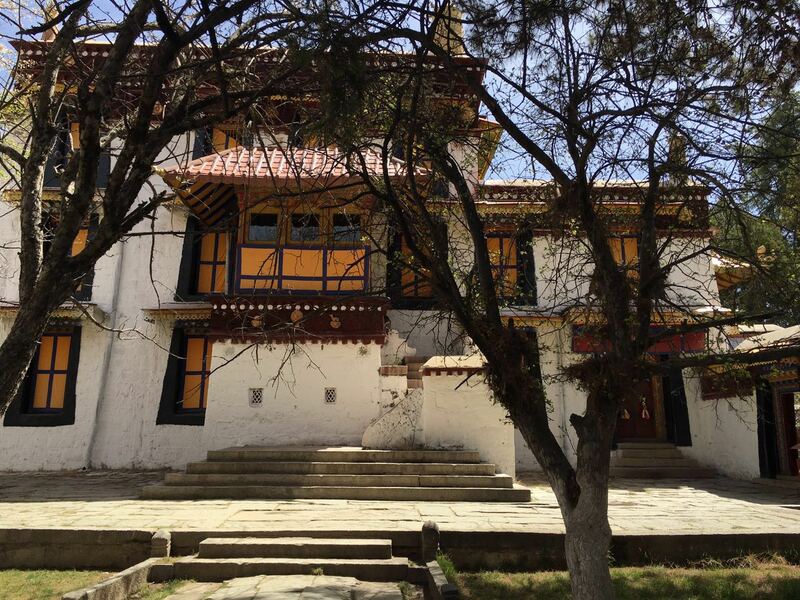 The Norbu Linka means Jewel Garden and summer Palace of Dalai La-mas, located at the west of Lhasa, it covers an area of 36 hectares with its first part built in 1740s. 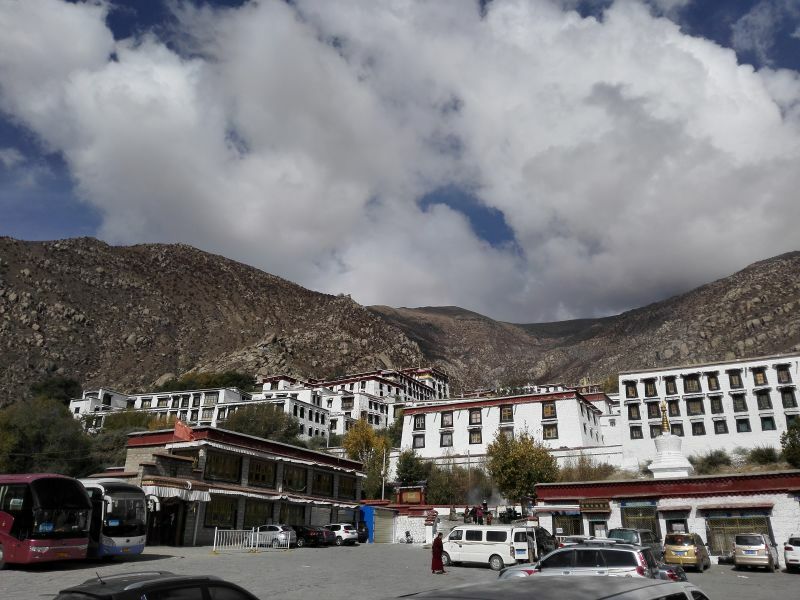 It was a resort for 7th Dalai Lama for bathing in fountain. 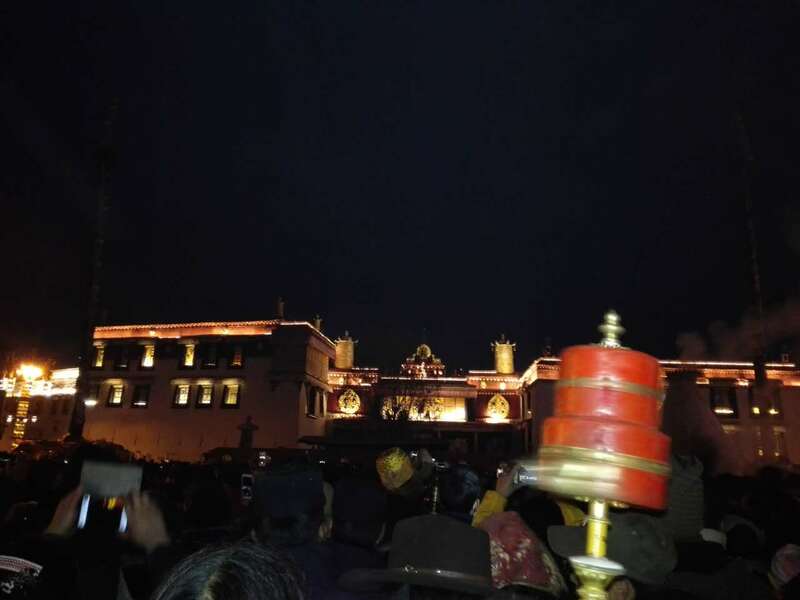 At that time the commissioner of Qong Dynasty stationing in Tibet built the first palace for 7 th Dalai Lama afterwards, the14 th Dalai Lama had their Palaces bulit there With 200years of expansion and management, it has become a large garden and Palace today…. On holiday, people come here in their best dress and sing and dance till night,by bringing with them tents and food. 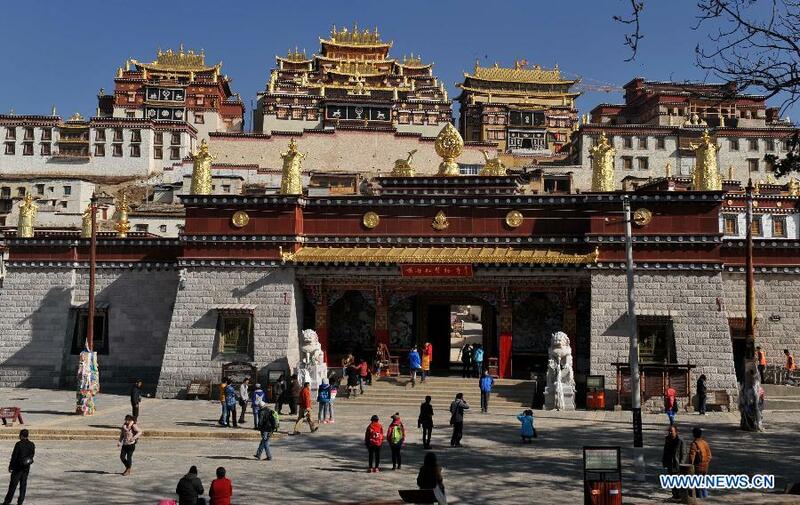 Located about 60km to the east of Lhasa in Ta-ktse County, the Ganden Monastery is one of three largest monateries and the first of six monast-eries of Gelug Sect . Ganden lite- to be content with love and pleasure, In early 15th century, Tsongkhapa, the fouder of the Gelug sect, bulit and presided over its constuction. Main buildings in the monastery are the Asembly Hall, Tspmgkapas’s residence and Yangpachen hall, therefore this monastery is regarded as the alma mater of Gelug sect..
Barkhor street is also called eight-corner street, it’s a circular market street surrounding the Jokhang temple, with the establishment of Jokhang temple, this street become a prosperous on which is not only a long circumvallation path but also a walking street with many shops and stores.